Hotel Pizzeria Selva Zernez, Hotel Switzerland. Limited Time Offer! 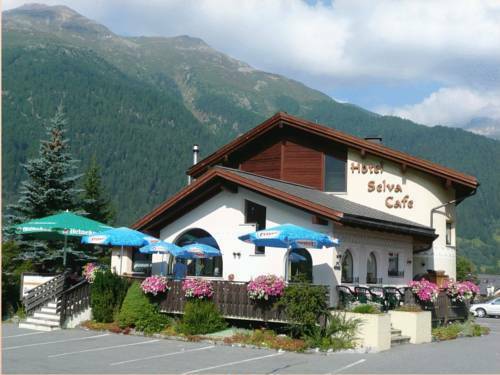 Hotel Pizzeria Selva. "Hotel Pizzeria Selva" has received 3 stars. This accommodation is an excellent base from which to explore Zernez. No need to go out searching for dinner as there is a seasonal onsite restaurant. Don't forget to taste the restaurant's regional and Italian specialties. Breakfast is served in the morning to provide visitors with a good start to the day. Access to the Internet is available free of charge.